I’ve been freshening up around here – we’re on the last term of the year. You know that feeling you get as you prep the last term of the year, right? That I-can-see-the-light-at-the-end-of-the-tunnel feeling? Yep, that one! 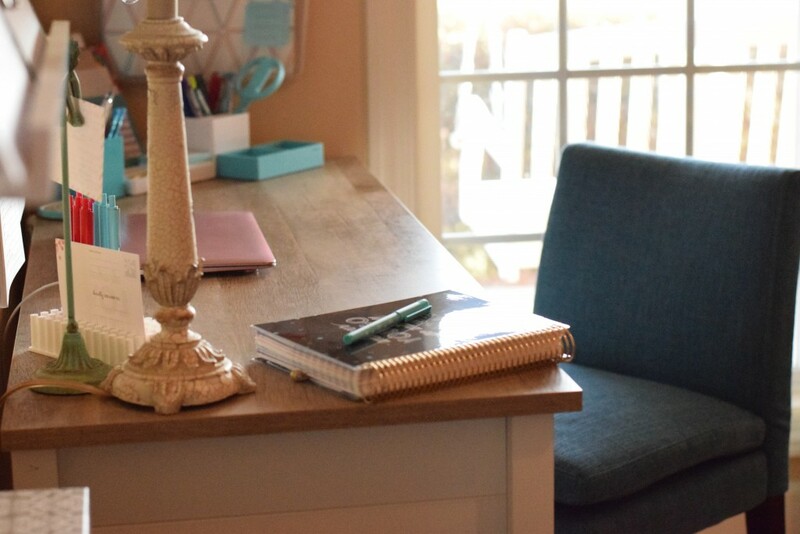 Each term I sit down with my master notebook open and spend some time making notes to myself on each child – a child’s challenges, weak areas, areas of improvement and stretching, and areas I’m stretching. And, possibly more important, I check back in with the notes I left myself from the last term. It’s encouraging to see small steps forward in progress and it keeps me looking toward the big picture. Another thing I really enjoy doing is updating our physical spaces each term. In between each term I declare a teacher’s week – a full week to give myself the time to accomplish my list so that we can start the new term refreshed. Set yourself up for success with some new sidewalk chalk, pre-approved videos, easy meal plans, and an agreement worked out with the big kids to help watch the little kids so you can get your work done! 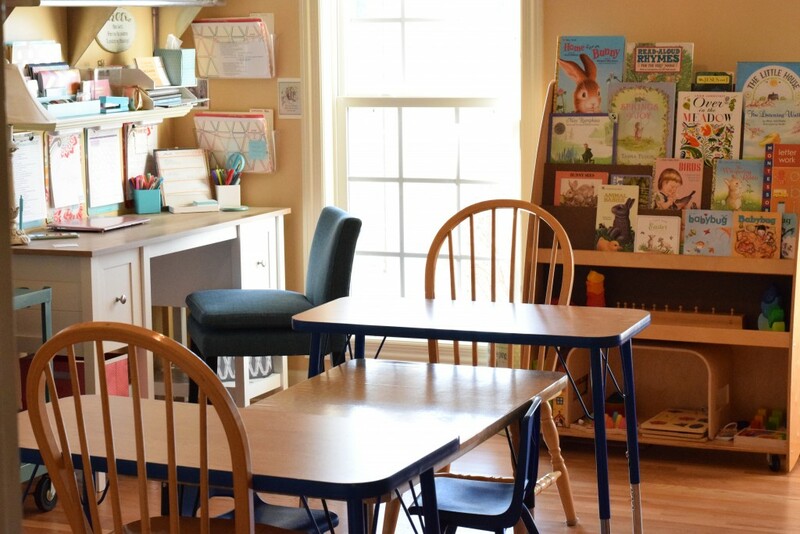 As I was enjoying my teacher’s week last week, I thought about homeschooling these past 15 years, and how there have been a few constants that really stand out to me – ideas that got me from preschool to high school…and back again. I thought I’d share a few new pictures of our spaces as I tidy and freshen around here, and share three fixed points in homeschooling – the three things that will get you to the finish line with peace and contentment if you embrace them! Are you curious? Let’s roll! #1 — Homeschooling is about change. Malleability may be the cardinal virtue of the homeschooler! (Followed closely by commitment…to work hard, fail big, and brainstorm the challenges.) Because, every year, every term, every child…every.single.day is about flexibility and change. Spaces can’t remain static. Plans can’t remain static. Children certainly don’t remain static – they grow, mature (ok…well at least we hope they do! LOL! ), and meet challenges. And as days stretch toward truth, goodness, and beauty an awareness begins to unfold: that all of this necessitates some open-ness to change. 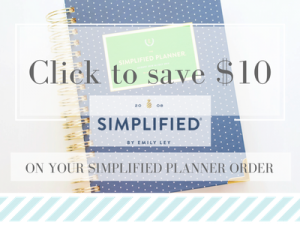 Are you operating under the assumption that if you can JUST get in enough planning time you’ll get ahead of the curve and then it will be smooth sailing from here on out? Thinking that because you finally invested the time to >>insert worthy activity here<< that you can coast? You can let that pipe-dream go. 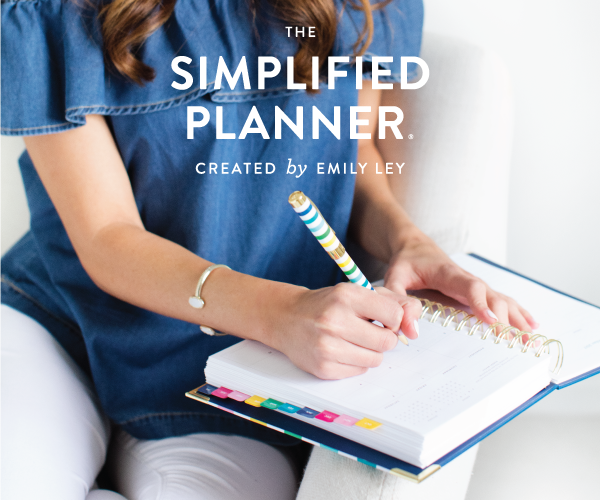 Planning and organizing time is essential and it IS a huge help, but you’re going to lather, rinse, repeat every year. Home education is about meeting needs from day to day. Add – a baby, toddler, preschooler, new student, new reader, independent reader, middle schooler, high schooler, any life change – and you have a new paradigm. Which you’ll probably need to adjust for! Keep it real, and keep changing things up to keep it fresh! #2 — It doesn’t always look pretty. Not even close! You’re going to ask me if these pictures I share here are real? Is this really my life??? Yep, the pictures are real and this is really what life looks like! And so are the days with blocks littered on the floor, popcorn for dinner, and lesson plans that weren’t completed. I like sharing images that are inspiring (at least I hope they are), but that doesn’t mean they don’t represent our reality, nor are they a judgement on your reality. These images are a snapshot of the simple beauty I’m trying to capture in that moment – something to share with you. I’m not a fan of inspiring mediocrity, and even less a fan of comparison. Take the good – it doesn’t belong to me anyway. I’m a mom that works hard, falls flat on my face (often), gets up and tries again. A gazillion times a day. And some days are awful. You know those days, right? The ones that you start looking forward to evening chocolate and Chardonnay around 8:00 AM!! The days you have “a moment” in the middle of lunch prep. I know those days, too!! They’re going to mix in there with the joyful moments as part of your everyday. And I’ll share a secret with you, those days – those days – are valuable. Those days are where we grow in virtue: it’s where we stretch, and slow down, and where we learn to prayerfully brainstorm on our knees. Those days aren’t pretty and they often come with a fair share of thorns (and moments), but they’re worthy nonetheless. We become saints if we cooperate with the grace in those days. Value them. It will be life changing if you do. # 3 — Build on good habits! — alternately titled — You can’t teach if they’re not teachable. There is so much that could be said on this, and I’m by no means a parenting expert. Miss Mason said it well, and she was right – it begins with authority! When we abdicate our God-given authority, anarchy reigns, and that precious time in the early years that we could spend letting them wonder and building good habits and laying down rails that future days can run on, is squandered. Do you want to be able to hand a child a set of lesson plans and have them move toward self-education one day? You better foster obedience now. Do you hope to be able to get through the hard stuff – the skills that are challenging and don’t come easy for your child? You better encourage persistence – try, try again. Do you expect your child to retain anything? Develop the habit of attention right now. You’re ready to start homeschooling! You’ve amassed a quantity of catalogs, wishlists, and paraphernalia to fill in what seem to be too many quiet, unstructured moments. Grab a cup of coffee and sit down and listen. Enjoy the tender little moments, they’re treasures and memories are built there! Don’t rush toward curriculum, and learning to read, and workbooks, and catalogs full of whiz bangs. Spend time. Model virtue. Go outside. Read good and worthy books aloud…and then read more. Fill days with worthwhile activities that inspire, delight, and provide a good medium for growing good habits. Gently and firmly insist on good habits – this will be more of an investment in your homeschooling future than anything else you do! Do all this, and one day your 2nd grader will be able to listen to you read Robin Hood and tell you about the story; your 6th grader, who is perplexed by a math concept, will take a break and come back to the table willing to work rather than displaying a nuclear meltdown of epic proportions; your high schooler, not thrilled with the prospect of Latin, will persevere out of discipline. All this and more will happen – not because your 4 year old got a head start with a massive curriculum package, but because you first opened the door to wonder. You’ve got this! Nurture early days of wonder that are rooted in good habits, know that there are going to be those days, and embrace change! We’ll all work hard, fail sometimes, and get up and try again tomorrow! And a little wine never hurt either! This is really good information! I wish I had read this 15 years ago! It has taken me a long time to figure it out. I want to do this and I really struggle with it. I typically only see the negative. I have a hard time seeing the growth. I know it’s there, but I get overwhelmed with the negative. Picking out the negative is good, but I’m not balanced and it makes it a horrible situation to work through. Any tips or just an example of what this looks like for you? I guess I’m asking for the nitty gritty details so I can “see it”. 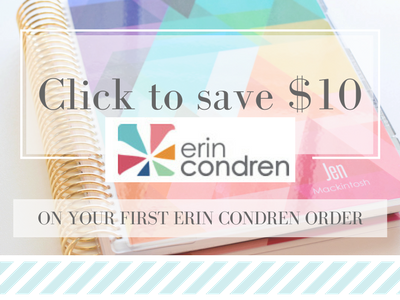 1) I keep my master notebook in a deluxe Erin Condren notebook, and since I do, I’m going to time this follow up post with the launch of the new Erin Condren notebooks at the end of this month (I’m on the review team – swoon! – and I hope to be able to link to the new notebooks! 2) I need to be considerate – my master notebook is full of gritty details that my children probably don’t want me to share with the entire world! Not that it’s a vent place – it really isn’t! But I do note those challenges a particular child is struggling with, or maybe a weak area I want to step up. Pictures are helpful, so I’m going to be careful in photographing and sharing! But anyway – look for that post soon! Oh Jen this was just beautiful! You have such a beautiful way with words. I look forward to every post you write! Love your article and perspective, Jen. And thanks for sharing “the beautiful” as opposed to the mediocre. Best quote of the post, in the fleeting, limited, edited perspectives that online bloggers deal with! Also… I’ve long ago already labeled your website in my mind as “The Planning Place”… where I like to go to get ideas on order, lesson planning and Morning Basket. Keep honing that niche because you excel at it! But I’m also realizing something else that you have hammered home many times in your posts and that I would love to see even further developed— I want this to be “The Habits Place” too. My oldest is 13 and I’m 34 weeks pregnant with #7… I am living the effects of not focusing on habit training enough… and I lament how much HARDER it is now to do remedial parenting. Lord have mercy on me a sinner. . . Anyway, we’ve tried lots of things, “Laying Down the Rails”, selected virtue reading, etc…. but the reality is that consistency has lacked as I have run about to and fro with all the various domestic fires mothers have to put out on a daily basis. Consistency… consistency… consistency. We have manners down. We have respecting others down. I need to celebrate the good. But oh my… Whining. Prompt obedience. Why are these STILL so difficult?!?! I guess I’m just venting now. Forgive me. You’re doing great work here; thank you! Your comment really struck a chord! Can I tackle it more fully in a future post? I just don’t think I could do it justice in the com box, but I don’t want to leave you hanging either! I’ve been thinking about it and praying about my response since you posted!! First, thank you! Your kind words to me are so encouraging! I love sharing here – it’s a blessing for me! So…let’s set your season of life at the outset of this discussion: you’re 34 weeks along with 6 children, expecting the 7th! This is a great time to do some prayerful brainstorming! I’m a huge proponent of: start where you are – one step at a time. BUT…you do need to make some concessions for your energy level and physical abilities, and I can’t know what those are exactly from my spot on the other side of this screen. So…I’m going to write as if you are 6 months postpartum, recovering your energy, and beginning to see your “new normal.” Ok? Whining and obedience – those two are biggies. I’d tackle one at a time. The strategy is simple – get the kids to see the bad habit and insist on the path to the better habit. You have to be consistent to build a new habit, and there is no special strategy or method for that. And…the longer a bad habit has been fostered, the longer it will take to entrench the new habit (and sometimes it takes longer because the kids want to see if you’re really serious! So – keep at it to convince them that you ARE serious! A friend of mine shared this story of when she and her siblings were younger, her mom sent the son to the outside freezer to store the crop of corn. The son, finding the freezer to appear quite full, came back to mom and said, “there’s no room for the corn.” Mom matter of factly replied, “Sure there is. You just have to *decide*.” And she found the room. 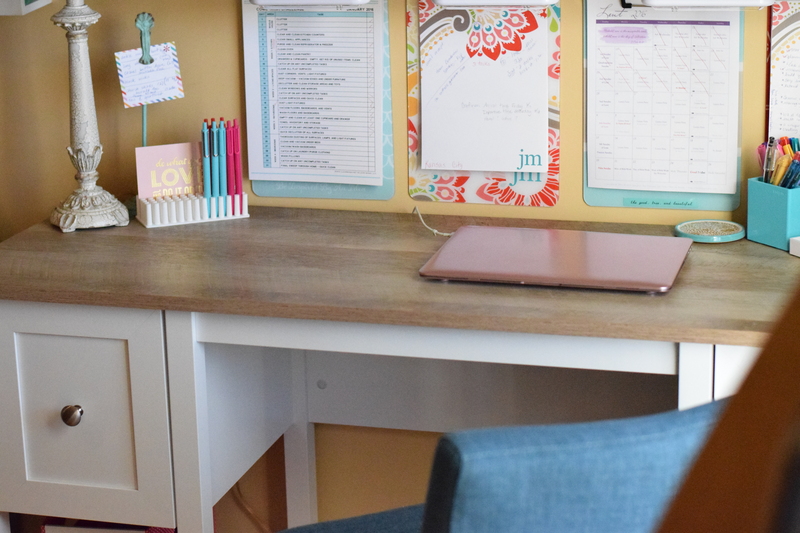 The first step to building any habit is to DECIDE it’s a priority and carry through…even if that means you have allow a consequence to exercise itself when you just sat down after a long morning of laundry and lessons and potty training and, and, and. DECIDE. For whining, insist on immediate rephrasing using a normal tone. Although – a word of caution – most whining is just complaining wrapped in an irritating tone, and that shouldn’t be allowed; it sets up that terrible habit as well. IF: the whining is just a complaint lodged in a squeaky-long-drawn-out-form say something like: “I will not listen to complaining. You may do “x” because I asked you to. If you have a respectful comment I will listen, but I will not listen to complaining or whining.” And move on with your activity in a neutral way, but clearly tuning out the child. If whining continues, put the child facing into a corner. It’s powerful. They can leave the minute they are willing to be respectful. Obedience is a little more difficult to give a nutshell summary. Generally, if it’s a little one (age 2-4), they may do what is asked and if they resist/refuse, I walk over, take them by the hand, and walk them through the motions of it. No one likes that and they’ll get the picture fast. If it’s a child between 5 – 12, I’d stand them in the corner. It’s humiliating and public. The child can be released the MOMENT they are willing to stop behaving “like a child” (hence the childish form of punishment) and are willing to exercise obedience. Teens get privileges revoked – and make it painful. No living in the lap of luxury with phones, tablets, tv, car privileges, etc – find the child’s pain point and target it. Don’t worry if you detect apathy (which they are famous for demonstrating) – you know you’ve levied a consequence that’s painful and they do too, they just want you to THINK they don’t think it’s painful! LOL!!! (Love me some teenage apathy!!! LOL!) You get the idea – obedience OR consequence. Period. I hope there are a few ideas in here – I’ll try to write more on it soon! Sending prayers and hugs, Ellie! Reading your post and I’m nodding away, yep, yep and yep. I remember in the early years it took me along time to understand it was all about change. That I would never ‘nail it’, that I’d always be tweaking, that every season there would be a ‘new, new’. Yep, it’s not always pretty cause we and are children seem to constantly need ‘pruning’. If I wrote to my younger self I’d be writing in bold, “Habits Matter, they really do! more than you think” and the only key is consistency and the only one who can make it happen is you. Exercise your self-discipline, there is no magic how but to simply do. Day after day, week after week, year by year. I totally agree with you on building habits, Erin. There isn’t a magic anything either – you’re right on! Thank you for this beautiful post. It really spoke to me today. I needed this. Love this post, beautiful. I agree on the habit training. It has to start young. I have difficulty myself in dealing with when we have certain groups/activities at our home and the children in attendance (2nd/3rd grade age, not preschoolers!) stand on couches, pick up knick knacks without any concern over whether it is appropriate or not, interrupt each other and me constantly… I see habit training in children as something that is really falling by the wayside lately. It used to be a basic understood thing of how we conduct ourselves in other people’s homes, and I don’t know what happened between my own childhood and now, lol! It is nice to be reaffirmed that others are working on building good habits in their own children as well. I’m afraid I know exactly what you mean, Erin – on having others to your home and witnessing the sad erosion of manners and polite behavior. Of course, kids will be kids – and mine are no exception! They get into things and misbehave…and that, of course, is where we come in as parents! It goes back to authority, I think. When my kids miss an opportunity to exercise manners, that’s where I step into the situation and insist on the manner and making amends if that is needed. Anyway, I suppose I’m just commiserating with you. And it’s good to know there are others out there in the trenches, insisting on politeness and good manners! Jen, thank you for this post. Your words and your pictures are so inspiring…the continual need to freshen things up is a good reminder to me. I tend to get stuck in a rut and forget that moving things around can be the simple solution to better meet the needs of my always-changing and growing family! 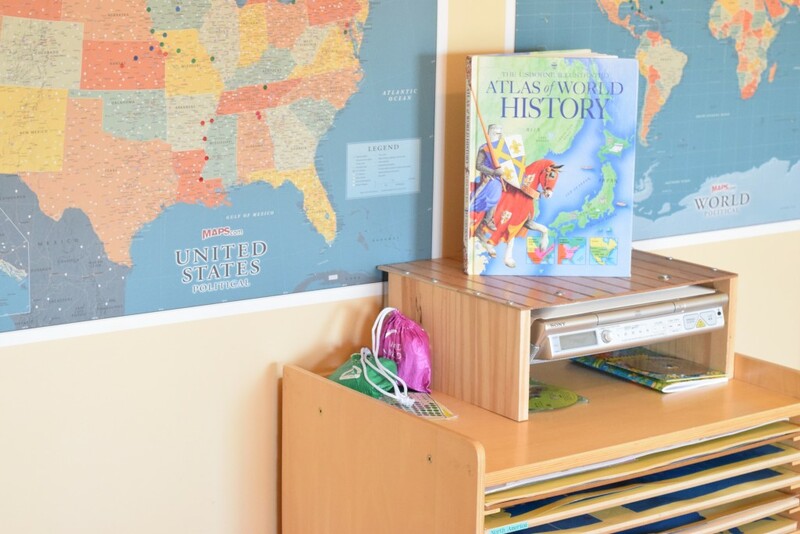 I’ve recently gone back and reread some of your old posts on your toy/school closet as I am implementing something similar. Do you still use it all these years later? The toddler has access to all the things we set out down low for her in the school area. I learned long ago that if I don’t have little activities and toys set out for her, she’ll get into other things! If everyone is busy with someone else (writing, reading, narrating, copywork, and I’m helping one of the big kids) the toddler is generally playing with something nearby. I do my best to teach the habit of put one thing away before the next thing comes out (and repeat that often: “Oh dear, we can’t get something new out until we pick up the puzzle. Pick up the puzzle and put it away.” But there are those times that multiple toys come out at once. She has to pick up her own toys – she tidies up before her nap and before dinner. We help her (of course!) 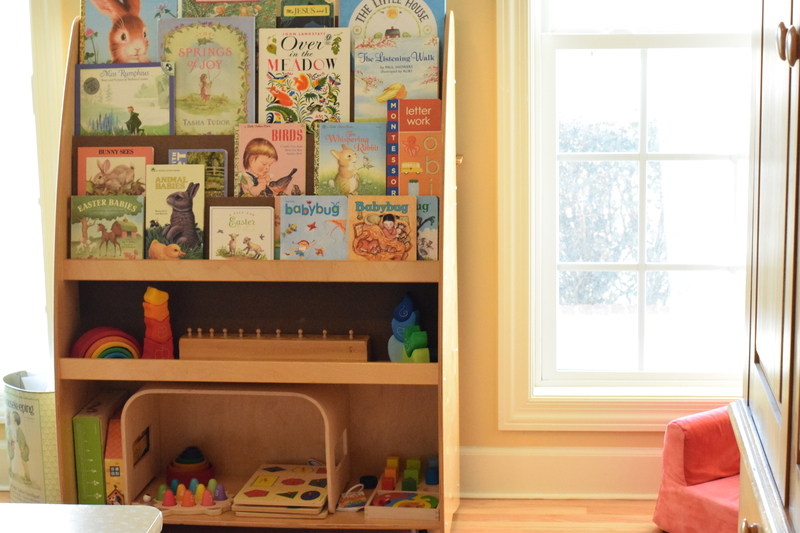 to work on one group of toys at a time – legos, then blocks, then books, etc – but she does her own tidying and putting away. In the green box on the bottom of the toddler’s picture book cart is this set of 40 Tegu blocks, which my toddler loves to play with! 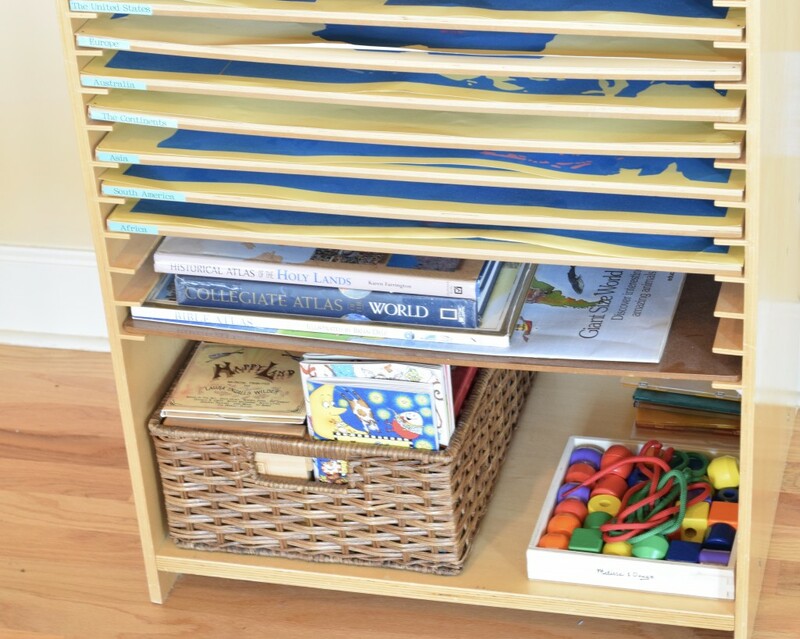 And yep, still use my Montessori closet as a rotation closet for supplies, toys, blocks, games – with the lock – after all these years! The media cart you have pictured at the top – could you share where it came from? I’m looking for something similar but I haven’t seen one that has those nice shelves at the bottom like the on you have pictured. Absolutely, Rachel! The rolling picture book cart is something I’ve had for several years. It was an investment piece, but it has earned its keep around here! It was about half this price when I bought it years ago, so prepare yourself for sticker shock – you can find it here if you’re interested. Maybe you could find it at another source more affordably? Or you could build something – and add heavy duty rolling casters on the bottom! I missed this one back in March, but a friend in my local group just shared it with all of us. It’s perfect! What great encouragement. 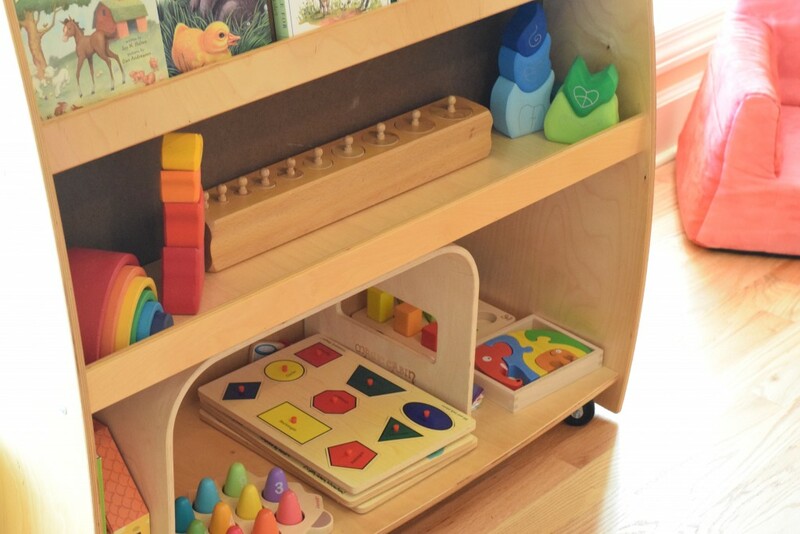 I love the bookcase on wheels with shelf for toys at the bottom. Where is it from? I know this is an old post, but very relevant to me with young children. I have an almost 8 year old who has very recently become SO difficult and very rude, even outside the home with other adults. My husband says it is a phase and to make sure he knows I am in charge. But I feel as though I am constantly nagging and we are now in a place of disliking each other, where there used to be mutual admiration, respect, and love. A long winded comment to essentially ask what you do on a daily basis for habit training? Is Laying Down the Rails worth the cost, if I am willing to put in the time and effort? Are there other resources I should use in place of/in addition to? Thank you so much for your time and help! I cannot even begin to say what a blessing you have been for me! I apologize for taking so long to get back to your comment to give you an answer! Truly! I could give you a list of reasons why…but suffice to say, here I am! And I understand! I wonder if it’s something about that age that a young person really starts to want to express different opinions to exert themselves, to begin feeling the waters so to speak, in finding who they are as a person. I don’t know that to be true, of course, it’s just that I’ve encountered the same experiences you’re describing with my kids. I do like Laying Down the Rails, and if it fits in your budget, I think it’s a wonderful and helpful tool for building good habits. But nothing is going to take the place of good old-fashioned common sense especially when we face behavior challenges. When my children start talking like this, I classify it all as disrespectful, and I’m pretty intolerant of it. First, I sit down and explain (in as few words as possible) that the way they are speaking is disrespectful and why. Give examples if you have to. Then, I let them know that I always welcome their opinion or thoughts as long as it’s expressed respectfully. Then I model that – using the disrespectful comment from my previous example and turning it around so that it’s phrased respectfully. Then I clearly explain that I will no longer tolerate disrespect. Ever. I try to think of consequences that “fit” a particular situation – and in this case, if you’re speaking disrespectfully then you haven’t earned my attention, therefore, I won’t listen – so my child can go to his room, I’ll ignore, I’ll remove myself from the situation, etc. I won’t engage. I might say something like, “Please rephrase. You spoke disrespectfully. If you don’t rephrase, you can go to bed right now.” And…if my child exercised disrespectful behavior in public, I let them know up front that I will expect a public apology and if I don’t get one, or one is not offered to the adult who was treated disrespectfully and I have to make the apology by proxy, that child has just lost all “going places” privileges. At which point, I quietly make plans to take everyone out for ice cream or something special, leaving the offending child home with another adult. Anyway, all that was meant to share a few of my strategies. This behavior rears its head again in the teen years when teens really begin to have and express polarizing opinions. I love opinions! I love discussing and probing things…but kids have to learn how to do so respectfully. So for me, it’s about giving them some communication tools to do that, modeling it, and letting them know that I was not put on this earth to be their punching bag when it comes to disrespectful comments. I don’t know if any of this helps at all! But I’m praying for you! This parenting thing is hard business! You know, I did think of something you might really appreciate – Dr. Ray Guarendi’s books! He is the father of 10 and writes with such wit and levity, yet he gives really straightforward parenting advice! I’m a huge fan of all his books! If you don’t have any of them I think you’d find them reassuring and refreshing!